Do you have a heart for those in need? Join Second Mile Ministry each week at City Park in Corona to minister to your community. 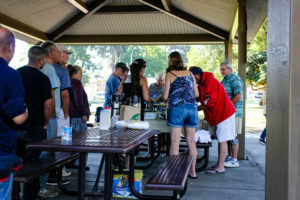 Every Tuesday afternoon Second Mile Ministry goes to The City Park in Corona where volunteers provide a devotional, prayer, fellowship and breakfast and minister to those in need from our community.